Glad to hear Joni's getting better. Still very powerful & comforting to listen to "For the Roses" & "Court & Spark". Closing my eyes & envisioning Joni onstage at the Forum & Hollywood Bowl. Forever changed my life to this day. 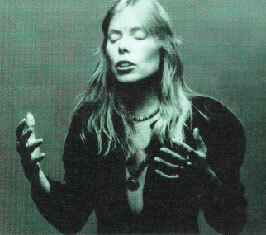 Be happy Joni, you're an inspiration to this day.